Berkery Noyes Advises Core Informatics in its Acquisition by Thermo Fisher Scientific - Berkery, Noyes & Co., LLC. Mass. & BRANFORD, Conn.–(BUSINESS WIRE)–Thermo Fisher Scientific Inc., the world leader in serving science, today announced that it has acquired Core Informatics, which provides a leading cloud-based platform supporting scientific data management. 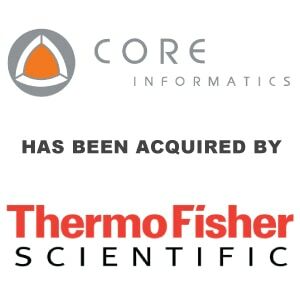 Core’s offerings will significantly enhance Thermo Fisher’s existing informatics solutions and complement its cloud platform, which supports the company’s genetic analysis, qPCR and proteomics systems. Core’s capabilities include laboratory information management systems (LIMS), electronic laboratory notebook (ELN) technologies and scientific data management solutions (SDMS). The business also offers an Application Marketplace to speed deployment and increase value for customers across a broad range of industries and scientific workflows. Core Informatics’ state-of-the-art laboratory data-management solutions are used by leading biopharma, genomics and other scientific and industrial organizations. Core Informatics partners with customers in biopharma, genomics, and other industries to deliver lab informatics solutions to derive more value and insight from their scientific data. Core Informatics provides the scalable and extensible Platform for Science that enables customers to quickly and easily build workflows to meet their specific needs and add capabilities as they grow. 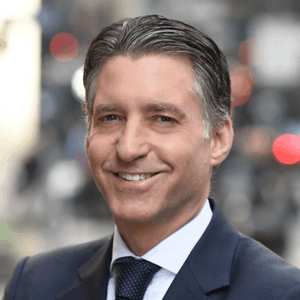 Based in Branford, Connecticut, Core Informatics has been recognized numerous times as one of the fastest growing private companies in the United States and as one of Connecticut’s best places to work. For more information, please visit http://www.coreinformatics.com. Buyer: Thermo Fisher Scientific, Inc.